There a few items more gratifying to give or receive than a well-chosen book. Here’s our guide to getting it right, whether for your teenage cousin, brother in law, best friend or mum. If you watched Absolutely Fabulous, the two-part documentary about British Vogue in September, you were probably as disappointed as we were. It was an oddly joyless affair and seemed to capture very little of the reality of working at the magazine. 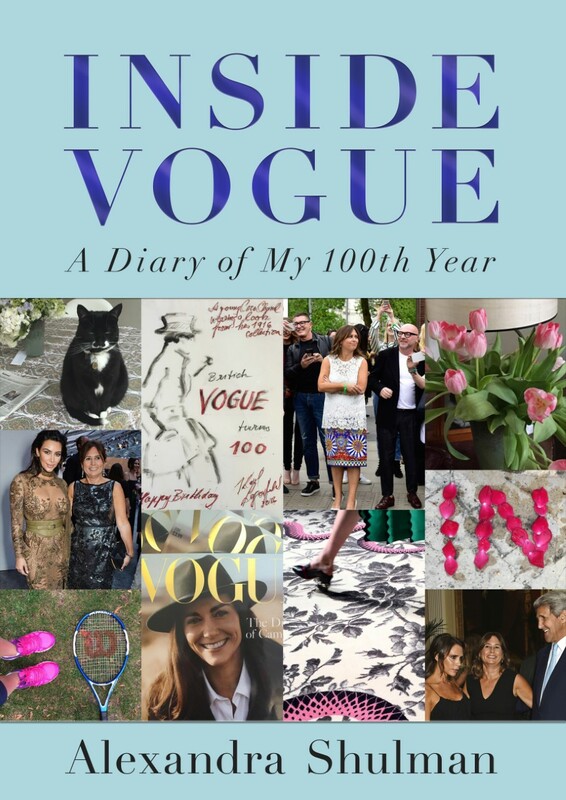 This, Alexandra Shulman’s diary covering the same period leading up to the celebrations for Vogue’s 100th year, is far more enjoyable. She is candid about falling out with people, making a fool out of herself and being frustrated by colleagues and loved ones alike. She has the great diarist’s gift, however, of portraying a reality that seems plausible but without appearing ever to be washing her dirty linen in public. Her accounts of the past year read as frank, rather than grubby. There is also a rather delicious mix of the mundane and glamorous: her boiler breaks on the evening of the Vogue 100th birthday party so that she can’t even have a bath before putting her frock on. This is the kind of book to be wolfed down, whilst eating leftovers alone on Boxing Day. If you’re feeling generous, you could always buy it for a friend rather than keeping it for yourself. Whilst DBC Pierre’s fiction is not everyone’s cup of tea, this guide to creative writing is genuinely useful. Pierre does not pull any punches, never pretends that you can write a novel without experiencing pain and frustration but he does provide companionship and guidance. He also uses examples from his own biography to show how narrative can be spun to be most effective, making this an entertaining as well as helpful read. The Stopped Heart may be Julie Myerson’s best novel yet which should be reason enough for you to read it, frankly. It manages to be both a page-turning thriller and a serious examination of how abuse works. A dual narrative runs through the present day and the Victorian era, creating a haunting examination of child abduction and murder. This might put many readers off we realise and it’s true, it might not be the ideal present for a new parent or someone who is having a particularly anxious time of being a parent. It is exactly the kind of book to get you out of a reading slump, however and whilst Myerson’s subject matter is shocking, she is at pains never to titillate. Her intention in writing this novel was that such issues should be the subject of a literary novel, rather than merely the preserve of made for television movies. This makes it a brilliant read and anyone you give it to on Christmas Day is likely to disappear until they’ve finished it. It’s subtlety, however, means it is probably not a satisfying hit for true crime addicts. Not Working is a gorgeous treat of a comic novel. It’s been billed as a kind of Bridget Jones for millennials but even if you are not a Bridget Jones fan and far from a millennial, don’t let that put you off. It’s a sly, perfectly observed look at how heavily defined we all are by work. We suggest you give it a whirl yourself but it’s also an ideal gift for the cousin or niece who has just graduated and doesn’t know quite what to do with her life. Elizabeth Jane Howard’s memoir Slipstream is one of our favourites of the genre. Howard’s breath-taking candour won her an audience beyond those who were fans of her novels. Having met her in person we can attest to her honesty, charisma and hard-won wisdom. Artemis Cooper’s new biography shows that the truth was more complicated, exploring how difficult Howard could be. Cooper is tough on Howard’s myopia, particularly her inability to see why her friend Jill Balcon might find it hard to forgive Howard’s affair with her husband, Cecil Day-Lewis. A brilliant present for anyone bereft that there will be no further Cazalet Chronicles or anyone who is simply a fan of literary biography. We would consider prescribing Paradise Lodge to anyone without a sense of humour (so obviously none of our relatives!) in the same way that Jeanette Winterson has suggested Cold Comfort Farm should be prescribed. This is our favourite of Stibbe’s novels and is as charming and witty as you would expect. It’s set in an old people’s home in 1977 where our heroine, 15 year old Lizzie Vogel is working. Stibbe expertly mines the potential poignancy and hilarity of life in this setting. Many of you, like us, no doubt read The Girls on your summer holiday. If you didn’t, you really must. There was a huge buzz around this book (including a hefty advance and the film rights being snapped up by Scott Rudin) but with good reason. It’s a fluent, engrossing debut novel narrated by 14 year old Evie and later, her middle age self. As an adolescent, she finds herself on the edges of the Charles Manson “Family” group. Cline captures the indolence of teenage girls perfectly, commenting that they feel life is “a waiting room until someone notices you.” She also manages to make the appalling crimes that the group ultimately commit seem somehow plausible.